WOW! What a great Reiki circle we had on Saturday. I felt a need to write a post about it. You know, if you are one of my students, I talk about the Reiki circle a lot. That’s because I so totally believe in it. I led everyone into a meditation for them to experience their past lives themselves. I was pleasantly surprised EVERYONE was able to retrieve a past life themselves, even if they have had very little meditation experience. I don’t know why I was surprised other than it was my first time doing this particular meditation with anyone else. But, when I do past life hypnosis every one has been able to do it as well. This meditation is very similar to that. But, with leading a whole group of people this time, I had to wait until the meditation was over to hear how it was working. I loved hearing the lives that each person experienced themselves and HOW it is able to help them heal something in their lives NOW. It was very exciting. (For more Past Life Healing stories). I’d love to do this topic again in a future circle. It is of course, one of my favorites! The more people in a spiritual group, the more powerful the energy, connection to the energy and connection to Divine Source! No matter how busy your life is, you can fit Reiki in once a month. YES, you can! It’s a matter of priorities. Make YOU a priority! 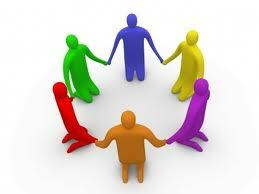 Getting together in groups is a stress reliever in itself, but a Reiki group must be 10 x the stress relief! We always feel GREAT afterwards. Getting together with like-minded people is also important for your spiritual growth, affirmation of who you are and the journey you are on. The more you run Reiki the more you raise your vibration, are able to run more energy and receive information better as well. When you run energy as a group, your abilities expand even faster and you are able to learn more and TRUST your abilities better. You become much more confident in your abilities when you come and practice them with others at Reiki circle and are able to ask questions and share ideas. Plus, It’s just so much FUN! There are many more reasons but to me those are my KEY reasons to make Reiki circle a priority, once a month. Can YOU think of any? Please comment. Reiki is an amazing healing modality. I literally feel like I have magic in my hands. But, when I teach a class, I teach not only how to heal yourself and others with Reiki, but how to incorporate Reiki into every aspect of your life. Reiki is not just for healing or for healers. Reiki can be translated as “spiritually guided life force energy.” It says nothing about being only for healing. 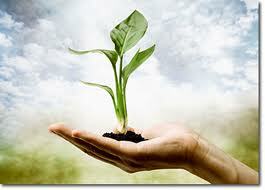 Reiki responds to the intention that the user puts forth for it in their mind. Reiki can do no harm so no one can use Reiki with ill intentions. Because Reiki is Divinely guided, the energy simply would never respond to such an intention. So, this allows for Reiki users to be creative and think of new and original ways to use Reiki in their every day life to make their life more fulfilled, more spiritual and more fun! FUN, FUN, FUN! Divine wants us to have more FUN! There are so many ways to work with the Reiki energy within your daily life. 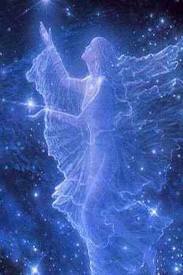 Please read the ideas I give and send me comments of your own ways of working with Reiki energy. Since there are so many ways, I’ll be making this post a three parter to get them all in. I’ll list them for the ideas and give the intention or the “how” for those of you who already have Reiki in your hands and want to try them. If you have Reiki II and above, you may add the Reiki symbols to the intention depending upon the desired outcome. You will recognize the CKR as the power symbol, SHK as the mental/emotional symbol and HSZSN as the long distance symbol. 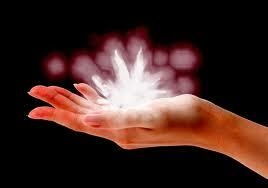 Work with the Reiki energy in your home to raise the vibration and make it more peaceful, protected and inviting. The walls, ceilings, floors, air, windows and doors, inside cabinets and closets. First use the SHK or the intention to clean or cleanse your homes energy, rooms etc. Then use the symbol CKR to seal and protect the space. I also visualize a huge dome of Love and Light surrounding my home and neighborhood every night before bed to make us invisible vibrationally to lower energies, people who have lower intentions on their mind. New items coming into the home. I Reiki everything that comes into my home with a quick cleansing intention (SHK) before incorporating it into the rooms. Then I do a (CKR) or an intention for blessings and to energize the item. House hold appliances, plumbing, air conditioner, heater, etc. Our house is a part of us. It reacts to our emotions too, like our body. Sometimes when you are very emotional or going through hard times, your home will react. Such as, your plumbing may go haywire and water is everywhere. Water is a symbol of big emotions out of control. Using Reiki on these areas of your home will heal you and your house together. Electronics- T.V.’s, computers, printers, stereos, I-pods, cell phones, car engines, etc. (helps them work better, longer and with less electro magnetic pollution to you. Batteries – Do you know you can Reiki batteries to get longer life? I have done this on multiple occasions. Once my camera batteries ran out right when my son was about to receive his end of the season soccer trophy. I ran Reiki with the power symbol on the battery for 5 minutes and was able to take photos of the whole team receiving their trophies! Try it, it’s a great way to amaze non believers and kids love it. Food, drink, vitamins, prescription medication– Brings out all the good, gets rid of the bad- makes them healthier, less toxic and less side effects. Cleanse with the intention of clearing away anything that is unhealthy (symbol SHK) and then use the intention of energizing the nutrition with the best possible nutrient value possible with (CKR). Find missing things– I always use this one when I lose something around the house. I do my Gassho to conect to the Reiki. I use the intention of finding the lost object (HSZSN) and then leave it up to Divine. If you are meant to have that object again, you will. People– I work with the Reiki on my kids when they are fighting to calm the energy down around them and take away the charge. They often stop fighting and are soon laughing. It’s pretty amazing. Use Reiki on a photo of you and your partner to improve your relationship. (with their permission of course!) You may use Reiki and the CKR on anyone as a blessing with no intention. This you can do anytime you want to heal a situation that has worsened or exploded. Or you can send Reiki to the relationship itself, not the actual person, a little each day and watch things smooth out. People who you never thought would apologize, will. 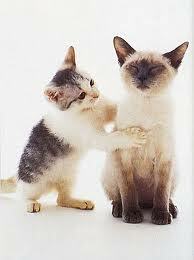 Pets and plants– All living things LOVE Reiki. Reiki your house plants, your pets, if you don’t like spiders then Reiki your home with the intention that spiders will like other places better and go there instead. Identity theft– This is a big one lately in our new electronic environment. Work with Reiki with the intention of first cleansing (SHK) and then protecting (CKR) your bank statements or the screen on your computer as a symbol of your accounts, Reiki your investments, college funds, stocks and bonds, all insurance, drivers license, passport or birth certificate as a symbol of your overall identity and anything else you have that represents YOU and your families electronic selves. Do this regularly, whenever you feel the need. At least once a month would be recommended. Spiritual Items & tools– Spiritual items; pictures, statues, art, crystals, shells, candles, pendulums, oracle cards, healing wands, etc. All spiritual items of the Light carry a higher vibration and lift the energy of your home. Keep them of the highest vibration possible by blessing them (CKR), cleansing them (SHK), surrounding them with protection and energizing them with (CKR) as often as you think about it. I also like to use incense and other forms to clean them as well. But, that’s a whole other blog. Boogie men and bad dreams- Many children have bad dreams, night terrors or see monsters in their closet. Ban the boogie man by allowing your child to help you banish them with beautiful all loving Reiki energy. Let them know that as long as the Reiki energy is filling their closet and their bed room, no monsters can come even close to them or their room. For bad dreams you can also help the child fall asleep while you run Reiki and place your hands on the part of the child that feels physically affected by the fear, head, heart, abdomen, etc. Ask them where it’s bothering them. Do your Gassho, ask for Guides of the HIGHEST SPIRITUAL ORDER DIRECTLY FROM GOD, and use the intent to clear and protect the room, closet, or dream. Allowing your child to help empowers them to know they can do this too and have the spiritual power they need to vanquish their fears. Cooking– And last but not least, use Reiki in your cooking and preparing of food. Reiki is Divine Love, what better way to make your food more nutritious, more delectable, and filled with love than with Reiki. Fill your kitchen, ingredients and hands with Reiki before beginning. 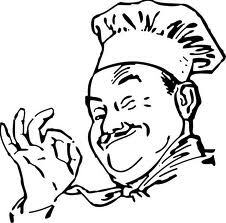 Use all the symbols with all intentions during the cooking process and just allow the Reiki to flow freely while you cook. You can even use the distance symbol to send blessings to the dining room later when you’ll be eating for the best possible atmosphere while dining. The possibilities of how you can improve your personal life at home are endless when you work with Reiki. Can you think of any I forgot? Next time I’ll touch on Reiki for work and manifesting. Get on my email list on the right side of the website if you’d like to receive updated information about my new posts. Left brain or right brain? Does it matter? 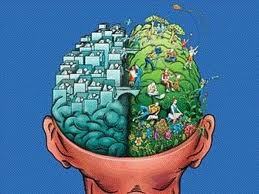 Are you more a left brain thinker or a right brain thinker? Why should this matter in energy work? I’ve found that in general, the people who “take to” energy healing, muscle testing and who do psychic work tend to be right brain thinkers. If you think about this it makes sense because the right brain is for the more artistic/creative/visualization side and the left brain more for the logical/mental thinking processes. The right brain thinkers have an easier time dropping their intention down into their heart to make decisions while the left brain thinkers tend to stay in their head. We all need to be able to do both to be well-balanced. Many times it’s our left brain logical side trying to “think too much” and get in the way of the intuitive information that is coming in through our creative right brain. We get information about where to move our hands, which part of the body needs to be concentrated on, how long to stay in one place and much more. If someone tends to be very left brained, if the information does not make sense to their left brain logical side, they will not follow the information they are receiving and they will not learn to listen to their intuition. This does not mean that left brain thinkers cannot do Reiki, be psychics or good energy healers. Some will take to it very easily, trusting their intuition, and with some it may take more effort, practice or need some help from a teacher. My husband is a great example of a left brain person who is also a great healer. Once he slips into the healing “zone” he’s a natural at it and lets his right brain lead. Although some people may just say it is not for them and try something else and never do anything with the Reiki energy gift they have received. It is all good and all part of the each individual persons journey. However, with my belief that Reiki is a true gift from Divine and is literally for everyone, then I believe everyone can do it! Sometimes the best things in life are worth the effort, and I believe that Reiki is totally worth the effort. I’ve been thinking about this a lot lately. For some reason it keeps coming up for me in different ways and different situations. That is why I felt sharing this information may be helpful to some of you. 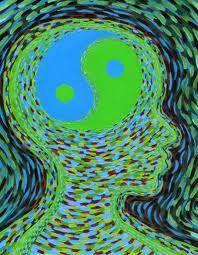 One aspect of Reiki that may help people who tend to be more left brain thinkers are the Reiki symbols. The Reiki II symbols appeal to the left and right brain persons both! They can be thought of as visual, creative and artistic by the right brain person while at the same time being processed by the left brain depending upon how you use them and intend them. The Reiki symbols also help to keep the left brain busy with something to do while the right brain is bringing in the intuitive information that we need when we are working on a client, friend or ourselves with Reiki energy. I found this particularly helpful as I was learning to trust my intuition in the beginning. I found that not only did the Reiki energy flow better, stronger and more abundantly but so did the intuitive information. My “logic” got out-of-the-way and allowed the flow to just happen. The Reiki responded positively to this process for me. 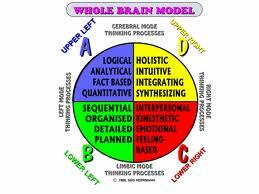 I am more right-brained thinking, however, I have a side of me that is very logical and mathematical as well. I like equations and things that make sense (That’s my brain balance). To me the symbols filled this desire in me and my brain. William Lee Rand says “Reiki symbols are like keys that open doors to higher levels of awareness and manifestation. Or they can be thought of as buttons; whenever you ‘push’ one, you automatically get specific results.” That appeals to my logical side, use a certain symbol and the Reiki works for a certain intension. There are other ways, other than the symbols, to keep your left brain occupied, such as, talking. I have found that talking out loud helps keep the left brain busy. (You don’t want to do this if the client is with you specifically for relaxation or straight Reiki because it will disturb them.) When I’m receiving intuitive information and I start to tell the client all of a sudden more information pours through. Also it helps to chant, count, or visualize numbers in my head. This can be done without the client hearing or knowing or disturbing them. Many different brain activities can keep the left brain busy while the right brain brings in the information. Find which one works for you. You will find with practice you can do both at the same time. Try this the next time you do a healing on someone else and see if it doesn’t help. Chant OM or count and let me know how it works. Once you get the hang of trusting and allowing the right brain to do its thing, the left brain will not need these “tricks” to keep it busy any more. You’ll know when the time comes. These thoughts come from the heart of me wanting to be able to help all people who want to do Reiki and learn to work with energy successfully in their life. I pray you all take this with that intention in mind. First Post – Huge Accomplishment for me! A few months ago, not only did Divine tell me to get a website going, I was told to DO IT MYSELF! LOL! Are you kidding? I can do email and word and that’s about it. My close friends know my computer challenges, so they will understand what a big deal this is for me. But, I decided, it’s 2012 (or almost was) things are changing and I have to change with them or be left behind. I have a tendency to wait until the Universe forces me to change sometimes, ok, much of the time, it drags me along kicking and screaming until I finally do change. THIS, I decided, would not be one of those times. So, I stopped thinking too much and choose to go with the flow and simply GO FOR IT! 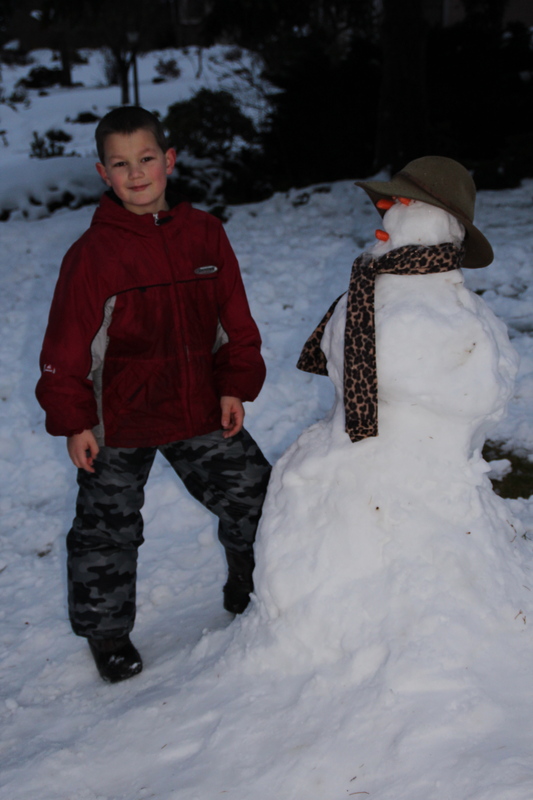 The snowman Sawyer and his friends made for me. I started researching other Reiki websites and found out that many people use the blog format. We’d done a blog and a website for our journey around the country but Robert had done all the posting and designing. My husband is my polar opposite, so he is of course an expert at all things electronic. But, I checked out Word Press and decided that was the way to go. It was all happening quite fast now. I spent most of the month of January teaching myself the language of Word Press simply by trying things and making mistakes. Isn’t that how it’s done anyway. I bought a book but it hadn’t come so I just kept going. Thanks to God, we got a huge snowstorm the second week in January. No one was driving so I had only a few phone clients that whole week and the kids were busy playing in the snow. I became submerged in making a blog/website. Don’t tell anyone, but I really enjoyed it, a lot! Now here I am, barely in February and have much of it done. (I do tend to get a little obsessed with my projects) I’m so proud of myself and astounded at the same time you have no idea. Since I’ve been making lots of mistakes along the way I accidentally published it right away and decided to just keep it that way. Let people read it as I go, my work in progress. So, here it is. Guided by God. My website/blog for all to see and read. I’ll be adding pages and/or blogs as Divine guides me to. If you have any ideas for pages you’d like to see please send me a loving comment. I’d like to hear what interests people. It is still a work in progress. I haven’t figured out how to do links yet and I have yet to write the “my story” section. But I’ll get there eventually. Thanks for reading this far and it is my desire that you find something interesting to you on many of the other pages. My name is Josslyn Streett. I am an intuitive energy healer, teacher and reader. That means I use my intuition as well as my knowledge of the world and other worlds to guide and help others. I empower my clients to heal themselves through the use of Infinite and Divine Universal Energy, which I often choose to call God. I work with clients both over the phone and in person so I can work with you, no matter where you are in the world. Divine Source has called me to this work. I believe we each have our own different path to take and mine led me here. I strive to do this work with the highest ethics, compassion and highest healing of ego self. Energy work is my passion and my work both. It’s the most exciting and interesting profession I can think of. Every time I work with a client I get even more enthusiastic about the work I get to do and know that through God, I am truly able to help people move forward and be happier in their lives. I see results and that keeps me motivated every day to be a healer. 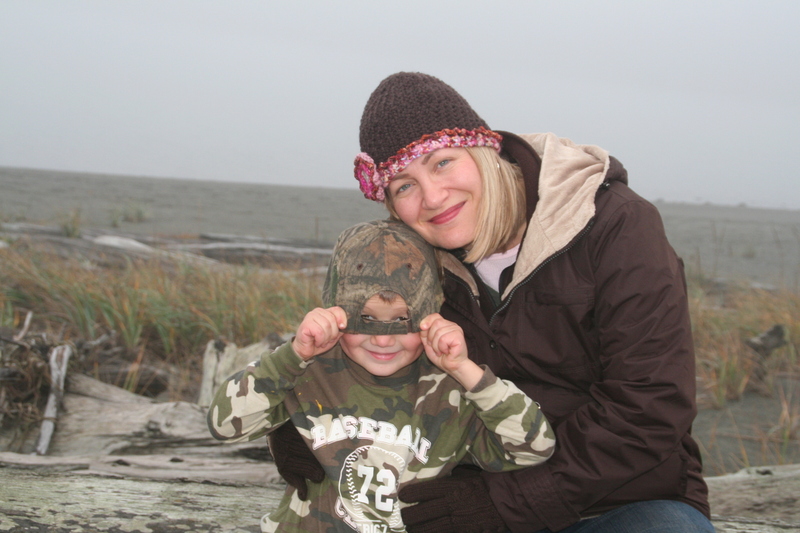 Me and my youngest son on my favorite place in Sequim, The Dungeness Spit! All of the main photos at the top of the page you see on my website have been taken by me on the beautiful Olympic Peninsula where I live. If you were drawn to this website, it is no accident. My guides usually bring the people to me that are meant to work with me or learn from me. I invite you to look around at what interests you and if you feel called to do so, email or call me for an appointment. I am here for a reason, to spread Love and Light around the planet as I am drawn to do so. SCROLL DOWN FOR MY MOST RECENT BLOG.